Investment company AURELIUS has acquired plastics reprocessing company ECO Plastics for an undisclosed sum, it has been announced today (12 December). The news of the acquisition comes just days after the reprocessing company announced it was looking for a buyer, following ‘operational challenges and unfavourable market conditions’ (exacerbated by the price of oil dropping to under $60 a barrel for the first time in five years – thus making the price of virgin plastic also fall), and investment body the Ludgate Environmental Fund stated that it had written off approximately £2 million of ECO Plastics’s carrying value. As such, AURELIUS has said that it will ‘supply both its highly-specialised operational improvement capabilities and financial support to the company’s current operations, with a core focus on the long-term strategic development of the business’. The investment firm has experience in the plastics market, having already acquired plastic bottle recycler and polyester staple fibre producer Wellman International. Tristan Nagler, Managing Director of AURELIUS in London, said the company was “delighted to have acquired ECO Plastics, which has a strong position in the UK marketplace”. ECO Plastics Founder and Deputy Chairman Jonathan Short, commented: “This news is not just a vote of confidence in the future of ECO Plastics, but a vote of confidence in the promising future of the UK’s fast-growing recycling sector. 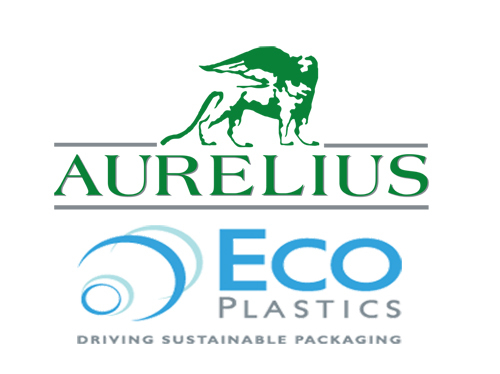 ECO Plastics CEO, Chris Brown, added that AURELIUS’s involvement will bring “significant operational expertise and financial support that will move the world’s largest and most sophisticated plastics reprocessing plant to another level, building on its position at the forefront of the UK’s plastics recycling sector”. In 2012, ECO Plastics opened the ‘world’s largest plastics processing facility’ in Lincolnshire, after building a £15-million extension to its existing PET bottle recycling facility in Hemswell. However, in a statement released today, CCE revealed that it is pulling out of the Continuum Recycling joint venture. The statement reads: ‘We are pleased that ECO Plastics has found a buyer to support the next stage in the development of the UK’s most important supplier of food-grade recycled PET. According to CCE, the arrangement will ‘ensure that CCE continues to use a minimum of 25 per cent rPET in [its] plastic bottles in Great Britain’. Plastics reprocessing company ECO Plastics announces it is looking for a buyer, following ‘operational challenges and unfavourable market conditions’. Gwynedd Council agrees to supply all its plastic recycling to ECO Plastics and receives £240,000 fund from Welsh Government.